In Eurocopter’s AS350, operators find an aircraft that can perform a great variety of missions, carry a multitude of equipment for them, and provide significant power in the process, even during hot and high conditions. Like many helicopters today, it holds its value well on the used market. As with all things, the family of aircraft known as the Ecureuil, Squirrel, and, perhaps, most commonly, the AStar is not without less favorable aspects, which we discuss below. But to sum up the results of this, Rotor & Wing’s first Operators’ Report, those who fly and use it consider the AS350 a great little aircraft. This newest R&W special feature is the first in an ongoing series of reports focusing on particular aircraft types or families. Our objective with these reports is to provide a comprehensive picture of the rotorcraft in service today by talking with those who know them best: their owners, operators, pilots, and mechanics. We’ll share their thoughts on the type’s pluses and minuses, its utility and customer support, the modifications available for it, and the plans and options available to improve it from its manufacturer, major component makers, and outside vendors. We want to give you a clear picture of what it is like and what it costs to operate the type and its various models. For this report, we started with a list of 75 AS350 operators provided by Eurocopter. To that, we added our own contacts among the Ecureuil operator community. We spoke with as many of those as we could reach to discuss their likes and dislikes regarding the aircraft. You can find out more about the origin of the AStar at the bottom of this page. Here, meet the AS350, with the B2 as an introduction. Like the other models, the AS350B2 runs 42.45 ft (12.94 m) from main-rotor tip to the upper tip of the vertical stabilizer. From nose to tail, the airframe is 35.86 ft (10.93 m) long. The top of the Starflex main-rotor hub is a half an inch shy of 11 ft tall (3.34 m). Standard skids put the belly just under 2 ft (0.59 m) off the deck. Those skids are 7.48 ft (2.28 m) wide; the exterior of the cabin is 6.14 ft (1.87 m) wide. Inside, the passenger compartment is 5.41 ft (1.65 m) wide and 6.56 ft. (2 m) deep. The section behind the pilot’s seat is 2.95 ft deep. The cabin is 4.26 ft (1.3 m) tall at its highest point. Three cargo compartments—a large port-side one, a smaller starboard one, and one at the rear—provide 35.3 cu ft (1 cu m) of space; the rear compartment is biggest, at 19.95 cu ft (0.565 cu m). The aircraft is designed to carry one pilot and five passengers in a standard configuration. It can be set up in a “comfort” version that seats 4-5 passengers or a high-density one that seats six. In its medevac version, it is set up to carry one pilot and two medical crewmembers, plus a patient on a stretcher. 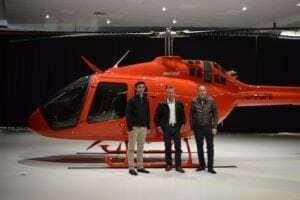 Set up to fly cargo, it has 105.9 cu ft (3 cu m) of cargo space, according to Eurocopter. The B2 standard tank carries 143 gal (540 l) of fuel; an optional auxiliary tank can carry 125 gal (475 l). Current-production B2s incorporate the Vehicle and Engine Multifunction Display (VEMD) developed for the B3. The dual-LCD screen replaces dedicated indicators and allows the pilot to see at a glance the main parameters of the aircraft and engine. Eurocopter also has upgraded new B2s by replacing their electrical fuse panel with the circuit-breaker unit on the EC130B4. The AStar’s three composite, main-rotor blades are mounted to the Starflex rotor head with spherical thrust bearings. That head makes extensive use of composites to improve corrosion performance (Eurocopter calls it “corrosion immunity”), impact resistance, and servicing. The tail rotor uses a flexible, glass-fiber beam for pitch changes. 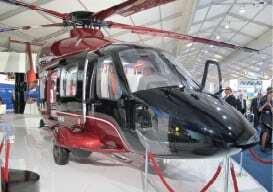 It has no bearing, requires no lubrication, and is an on-condition maintenance item, according to Eurocopter. Standard avionics on the current-production AS350B2 and B3 include the Thales H321EHM gyroscopic horizon indicator, the AIM 205-1BL directional gyro, the UI 9560 turn-and-bank indicator, the Honeywell KX165A VHF/VOR/localizer/glideslope indicator, the Shadin 8800T altitude-encoding transponder, and the Kannad 121AF-H emergency locator transmitter. The standard avionics also includes Garmin’s GI106A course-deviation indicator, GNS430 VHF/VOR/localizer/glideslope indicator/Global Positioning System receiver, GTX327 Mode A and C transponder, and GMA340H intercom. According to HeliValue$’s The Official Helicopter Blue Book, an equipped 2007 B2 lists for about $1.8 million and an equipped B3 for $2.425 million. “Equipped” means a navigation/communications suite, transponder, dual controls, heater, and flight instruments, The Blue Book says. For the B3, the price rises $400,000 if the equipment includes IFR equipment and certification. Used AStar prices range from $259,000 for high-time, older models to almost $2 million for low-time recent models. 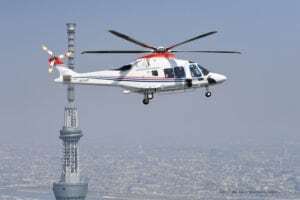 The AStar’s closest competitors are the Bell Helicopter 206-series and the MD Helicopters MD-500. The aircraft share the same flat floor and good visibility from every seat in the cabin. Eurocopter designed the EC130 to comply with more stringent noise restrictions in and around U.S. national parks, like the Grand Canyon. 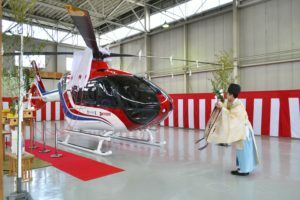 Several air-tour operators agreed, saying the AS350 is great for that line of work, with an excellent field of view from the cabin, and good power, reliability, and safety. While military missions are more sensitive to power requirements and often require twin engines, the AS550 Fennec military AStar has earned a place in the market. Denmark and Singapore each fly it, for instance. Eurocopter is certifying it to fire guided rockets. It already is qualified to carry TOW anti-tank missiles. The operators we spoke with agreed. Operators particularly like the aircraft’s performance at high altitudes and under hot conditions. One law-enforcement operator who flies six AS350B3s in response areas up to 11,000 ft msl noted the aircraft’s power at those high elevations. Operators like things beside the AS350’s performance. The air-tour operator with 16 AStars considers them “economical and cost-effective.” A law-enforcement operator appreciated the aircraft’s “reliable aircraft and engines.” An EMS operator with 10 aircraft, a combination of As and B2s, likes the aircraft’s low maintenance per flight hour. Bruce Webb, chief pilot of American Eurocopter, acknowledged the AStar can be “slightly more difficult from 5 ft on down.” One school of thought links that to the fuel level in the 143-gal tank, which has no baffles. If your fuel is above 80 percent, the thinking goes, there’s not much room for it to slosh around in. Below 40 percent, there’s not much fuel to slosh around. In between, perhaps sloshing fuel rocks the aircraft a bit. 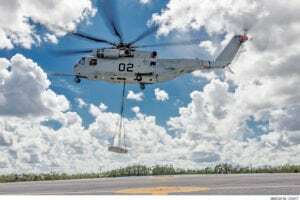 An official of one law-enforcement operator with three B3s and a fourth on order complained the aircraft “can’t carry quite as much as we had hoped with all of our mission equipment.” That can be as much an issue of the agency specifying the equipment as the aircraft’s performance. 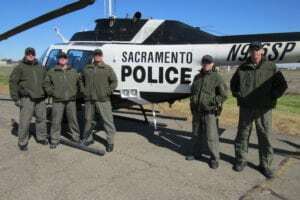 An official of another law-enforcement operator that flies a few AS350As and several B2s said the B2s don’t have enough power “to carry full fuel on long missions” in temperatures of 100-110F (38-43C). The same EMS operator who called the AS350 “fast and smooth” said its medical crews found the cabin too cramped for EMS transports and patient treatment en route. “You never can be fully satisfied with your support,” de la Servette said. Eurocopter has increased its forecast of aircraft utilization, which in turn drives the calculation of what parts will be needed and when. Supporting aircraft on the ground (AOG) because of maintenance or parts problems is always a challenge. “Our policy is to use parts scheduled for production to get an aircraft back in flight,” de la Servette said. That sparks battles between manufacturing and product support people because pulling a part from the line disrupts production. As a general rule, de la Servette said, Eurocopter has a policy of rolling AStar improvements for the current fleet into new-production aircraft as the improvements are signed off. “The latest aircraft today embody modifications that have been done against earlier aircraft,” he said. “We keep the versions alive by incorporating improvements.” He said a recent example was installation of the Vehicle and Engine Multifunction Display in the B2. Performance values are for an aircraft operating at a gross weight of 4,960 lb (2,250 kg), equipped with a new engine, in a clean configuration, with the optional Low skid landing gear with two single footsteps, at sea level, International Standard Atmosphere (ISA), and zero wind. 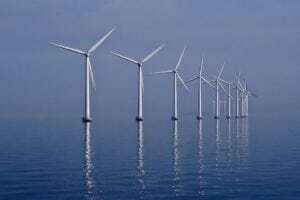 Where in the World Are There Offshore Wind Farm Opportunities?